Bounty hunters, illicit technology, Salvaged Astromechs, pirates, and Black Sun operatives. The sixth wave of X-Wing™ starship expansions has arrived! 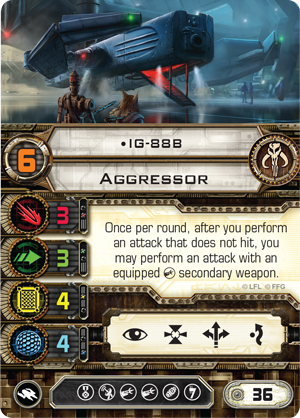 Now available at retailers everywhere, X-Wing Wave VI marks the introduction of the game’s third faction, the galaxy’s Scum and Villainy, a collection of individuals loosely bound by their shady business endeavors. Ultimately, the whole wave reflects the fact that this new faction’s pilots are less interested in teamwork and collective victories than personal gain. 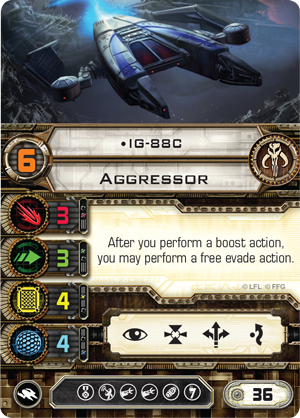 Their unique pilot abilities encourage different types of squadrons than those commonly employed by Rebel and Imperial players, as do their new starships, illicit upgrades, and Salvaged Astromechs. The members of the Scum and Villainy faction may not be the most cooperative or disciplined military force in the galaxy, but their myriad tricks are certain to cause all manner of trouble for the game’s Rebel and Imperial pilots. 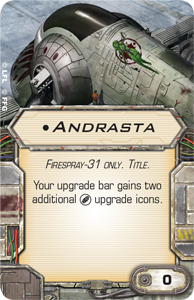 Likewise, their arrival is destined to shake up the X-Wing metagame, opening the way for all sorts of new squads to make inroads in tournament and casual play. 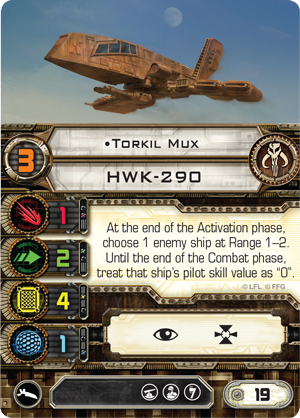 Torkhil Mux is likely to change the very nature of the pilot skill “bidding war.” As two-time World Champion Paul Heaver explains it, “In most cases, the ideal pilot skill value is one higher than whatever your opponent is fielding. But spending squad points to hit that ideal pilot skill is a gambit that can fail if your opponent has pilots with higher skill than yours, or simply doesn’t bother to ‘bid’ on pilot skill and just sticks with the minimum skill levels.” As a HWK-290 pilot with a low pilot skill – and commensurate cost – Torkhil Mux is a cheap bid for pilot skill; however, he also nullifies much of the benefit your opponent seeks to get by investing his points into his pilots’ pilot skill values. At the end of the Activation phase, he can reset one enemy pilot’s skill to “0” until the end of the Combat phase, meaning that even though your opponent bid higher for pilot skill values, your ships get to fire first. 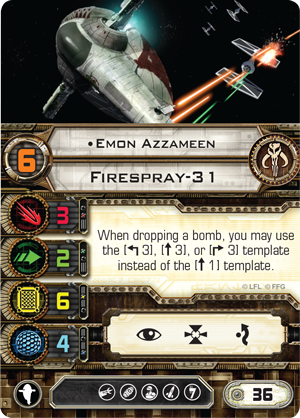 Emon Azzameen is another pilot who’s likely to shake up the metagame. In his Andrasta , Emon Azzameen is almost without peer as a bomber. Like any pilot capable of delivering a payload of Seismic Charges or Proximity Mines , he can use the “1” straight template; however, Emon Azzameen may instead choose to use the “3” straight template or either “3” turn template. 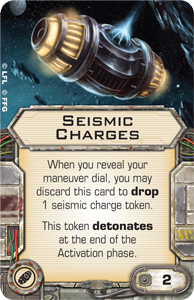 The option to use these alternate templates to drop his bombs gives Emon Azzameen much greater control over their impact on the battlefield (as shown below), and that means that X-Wing players are likely to see more bombs on the battlefield than ever before. Emon Azzameen’s ability to choose from any one of four different templates as he drops his bombs makes the battlefield a more hazardous place than ever before. Finally, the arrival of IG-88 is likely to spur a dramatic rise in the number of two-fighter squad builds. 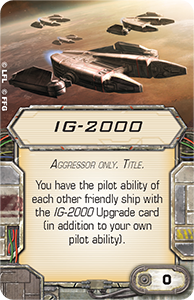 Not only do the four iterations of IG-88 all pilot the fast, durable, and hard-hitting Aggressor, but if they upgrade their Aggressors with the IG-2000 Title, they also become the first pilots able to share pilot abilities. This means that in squads that run two Aggressors with the IG-2000 Title, you can mix-and-match the four different IG-88 pilot abilities, pairing such elements as IG-88B ’s built-in “ Gunner ” ability with IG-88C ’s free evade action. Or you could pair IG-88A ’s ability to regain shields after eliminating foes with IG-88D in order to gain extra maneuvers on your maneuver dial. However you choose to partner IG-88’s unique pilot abilities, these dual-Aggressor builds add an all-new form of customization to your squads. Of course, those are just a few examples of the many, many ways that the Scum and Villainy faction and its pilots are likely to change the game. Throughout our previews, we’ve explored even more of the ways that the Scum and Villainy faction will utilize their starships, illicit upgrades, and unique pilot abilities. 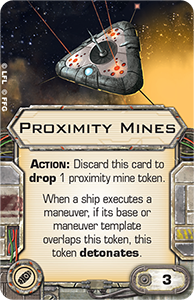 In “Illicit Dealings,” we looked at the two new upgrade types unique to the Scum and Villainy faction, the illicit upgrade and the Salvaged Astromech. By offering a distinctive range of dirty, aggressive, and expensive tricks, these upgrades go a long way toward establishing the faction’s overall intent and feel. 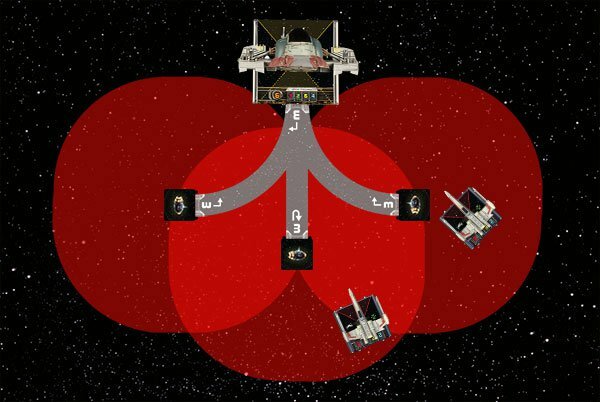 In “The Galaxy’s Most Wanted, Part One” and “The Galaxy’s Most Wanted, Part Two,” you can read about how the Most Wanted Expansion Pack, its ships, upgrades, and pilots give the faction and its dirty tricks a massive jump start, helping it quickly get up to speed against the established powers of the Rebel and Imperial fleets. 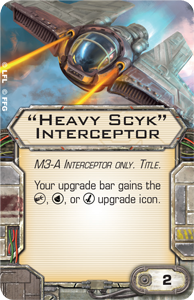 In “Intercept and Destroy,” we explored the many ways that Scum fleets might deploy the versatile M3-A “Scyk” interceptor. A light, but highly customizable, starfighter, the “Scyk” can be flown in large groups, or it can be outfitted with the "Heavy Scyk" Interceptor Title and utilize a cannon like the "Mangler" Cannon or Ion Cannon to confront enemy fleets. 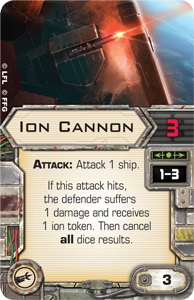 In “Cold, Metal, and Evil,” we looked at the IG-2000 Expansion Pack, its deadly Aggressor, the ship’s maneuver dial, the four unique versions of IG-88, the IG-2000 Title, and the expansion’s other upgrades. 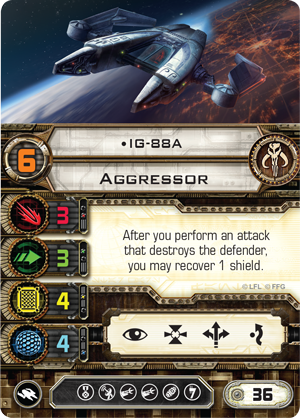 Not only is the Aggressor the first large-base starfighter to feature an inherent boost action, it’s also one of only two large-base starships in the game with only a forward firing arc. 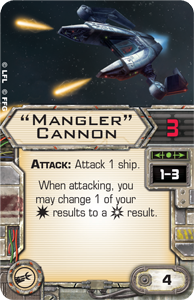 Still, while the other such starship, the Lambda-class shuttle, is notorious for its sluggish maneuver dial, the Aggressor is a surprisingly fast and maneuverable vessel, and the preview looks at some of the ways its maneuverability is likely to make it both a challenge and a joy to field in battle. 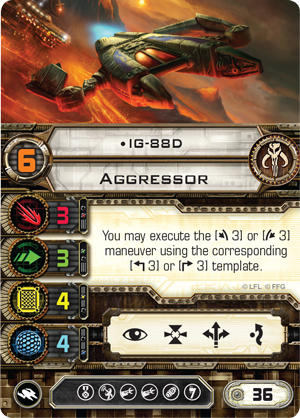 IG-88’s Aggressor comes loaded with all sorts of maneuvers, including the startling new Segnor's Loop . 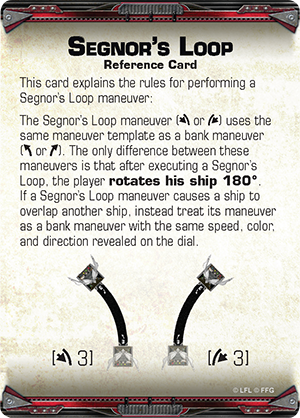 Still, you can load IG-88D’s unique pilot ability into your squad for even more maneuvers, gaining the option to perform a Segnor’s Loop at the end of either “3” turn template. 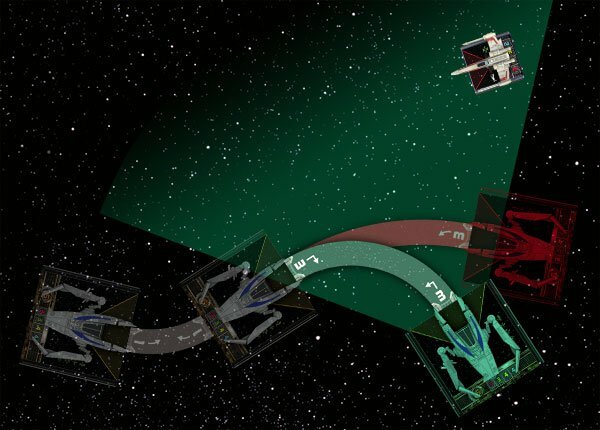 All these maneuver options, along with the ship’s inherent boost action, make it truly difficult for your opponent to guess where your Aggressor will end its Activation phase. 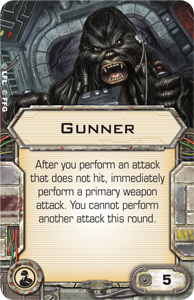 Finally, in “Behind the Scenes with the Galaxy’s Scum and Villainy” and “It Is the Future You See,” the game’s developers and two-time World Champion Paul Heaver take turns offering their takes on the Scum faction and providing us with some sample squad builds to consider. X-Wing Wave VI is here. The Scum and Villainy faction is here. You can dive into the heart of the Galactic Civil War, or you can try to make a profit in the fringes of the galaxy. It’s your choice. 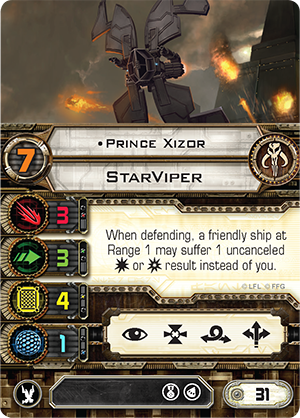 Head to your local retailer to pick up your X-Wing Wave VI expansions today! © 2015 Fantasy Flight Publishing, Inc. Fantasy Flight Games and the FFG logo are ® of Fantasy Flight Publishing, Inc. All rights reserved.